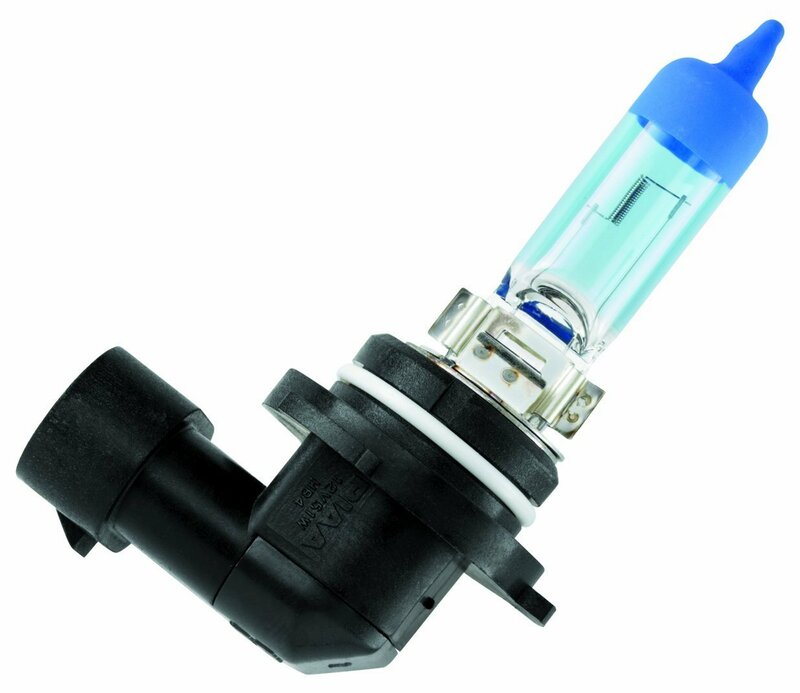 UPDATE: See the latest Best Halogen Headlight Bulbs rankings. 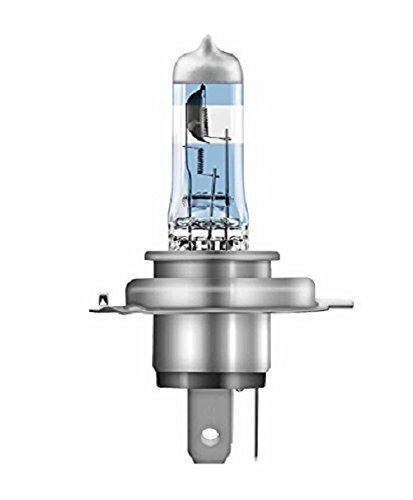 Although car manufacturers may install a decent headlight bulb, many people will use them till they stop working, and then replace them with the cheapest one they can buy. Not the best idea. 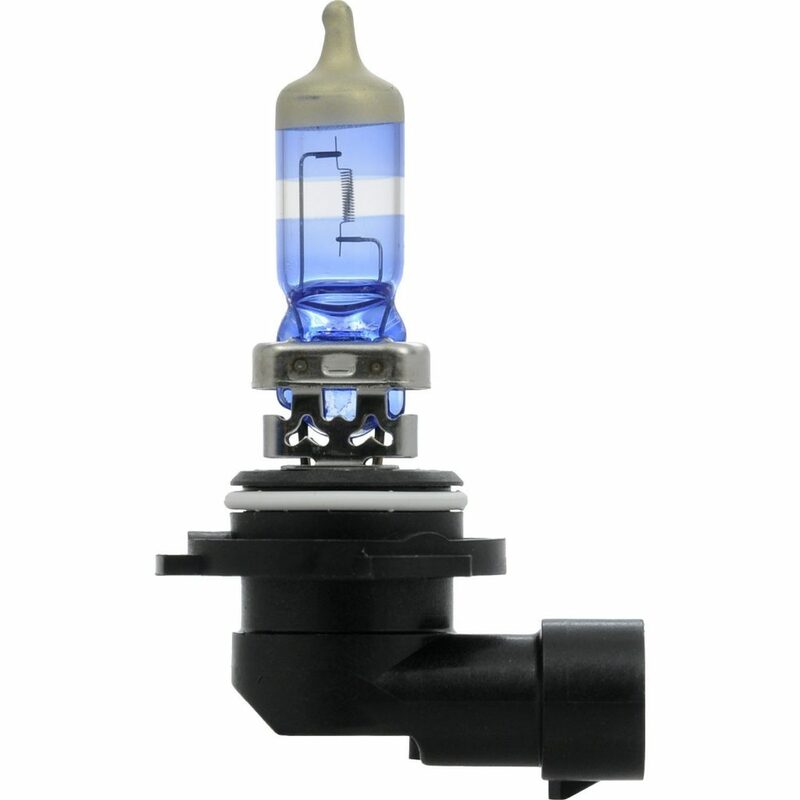 So get ready as we rank and review the best halogen headlight bulbs. But there’s a lot more to selecting a good set of headlight bulbs. Factors such as brightness, lifespan and color all affect our experience while driving. Many people seem surprised that LEDs have still not taken over as the dominant technology in automotive lighting. However, with their high cost and difficulties surrounding retro-fitment, halogens will still be around for a long time. In fact, the market is stronger than ever. With more cars on the road around the world, we see a continuous stream of new products coming to the market, trying to take on the incumbents. As such, we’ve set up this list with our recommendations of the top 8 halogen headlight bulbs. 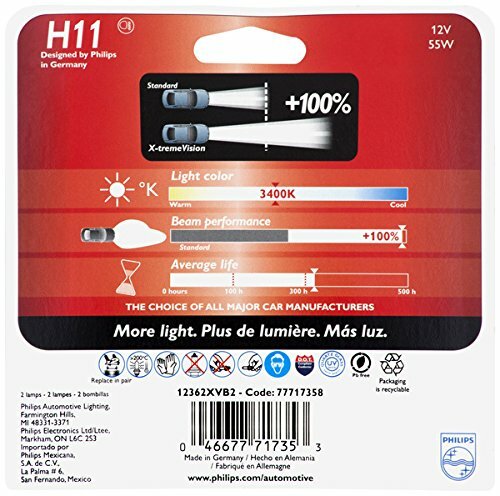 For the purposes of this summary we compared H4/9003 light bulbs, a combination hi- and low-beam light bulb that is popular amongst many manufacturers. Although many factors remain the same regardless of form, things like brightness and cost do fluctuate. When discussing brightness in the article, we are referring to a measure of how much light the bulbs put out, either in terms of lumens, or a distance that they shine relative to each other. While all the bulbs are rated at 55/60W (low-/hi-beam), this is only an indication of how much power they draw. Due to a number of design factors, the light bulbs are able to output different amounts of light, while compromising or improving on other aspects. 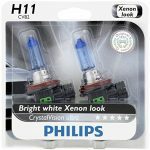 This reasonably priced product from Philips sits at the top of their lineup, even when compared to their CrystalVision Ultra (mentioned later in this article). It produces twice the light of their standard halogen lightbulb, with only a slight compromise in lifetime. It excels in rural areas, and sections of dimly lit streets. The lights feature a slight filter coating to bring its color temperature up to a, still yellow, 3,400K. 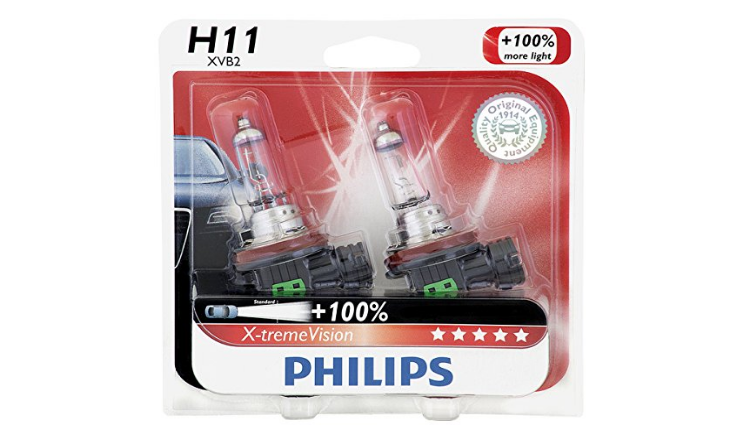 The Philips X-tremeVision headlight bulbs are for those looking to upgrade from their stock headlights, but perhaps aren’t interested in paying for the higher end products. Although it advertises as being excellent for rural areas, we advise this more for city dwellers who make the odd excursion beyond the lights of the city. Philips are an OEM (original equipment manufacturer), have supplied car manufacturers for decades with good quality products. 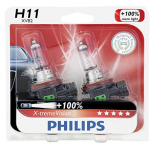 Guaranteed for over 300 hours of driving, the X-tremeVisions are DOT (US Department of Transport) compliant, and a good introduction into the world of performance headlight bulbs. 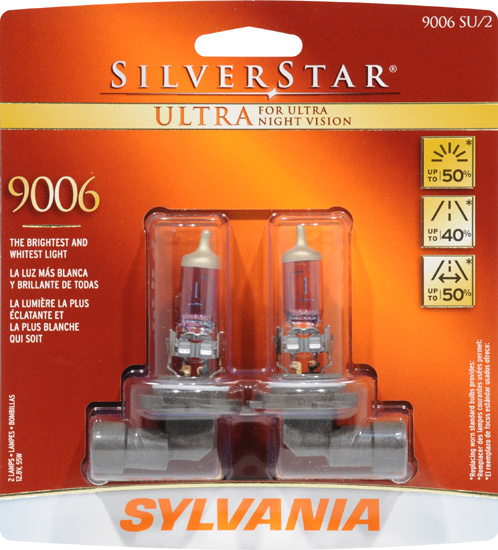 Sylvania are the leaders in the halogen automotive industry. Producing more light bulbs in this category than any other manufacturer. Helped on by OEM sales to car manufacturers, Sylvania is a trusted name. 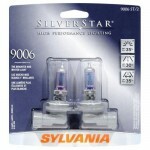 The SilverStar Ultra is Sylvania’s flagship product. Offering the farthest down the road lighting of their lineup, you can’t go wrong by picking up a set of Ultra’s. 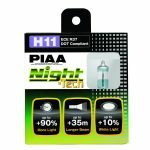 With the appropriate title of High Performance added by the marketing team, these light bulbs offer increased clarity and provide amazing night vision results. The color temperature just below 4,000K is courtesy of a partially coated lens. While the low beam is slightly warmer, the hi beam is completely filtered, providing the clear white light necessary for nighttime driving. The SilverStar Ultras are the brightest headlights you’ll get. Their increased brightness does come at a cost though, with an expected lifespan of just over 200 hours. If you do significant amounts of nighttime driving, you may want to decide if you’re willing to pay extra for a longer life at the same brightness, or if one of the slightly dimmer bulbs would be sufficient. The name Osram may not be as well known to those in the US, but in the rest of the world it is probably the most well-known lighting brand. Fitting then that Osram and Sylvania are effectively the same company. In 1993 the Sylvania brand was purchased by Osram, resulting in the current day Osram Sylvania Inc. The Night Breaker series is also relatively unknown in the US, but it is effectively a rebranded Sylvania XtraVision. It fits in below both the SilverStar Ultra and the standard Silverstar as an entry level product. Priced reasonably, you still get decent performance from it. 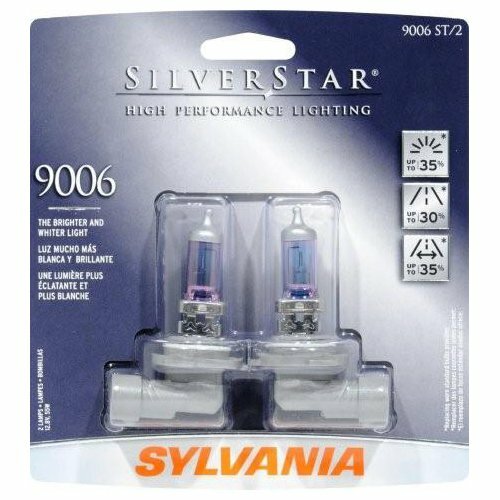 A slightly whiter light with a color temperature of 3,600K, and a light that gets cast approximately 100 feet farther down the road than the standard Sylvania Basic light bulb. What you lose out on in performance though, you gain in lifetime. 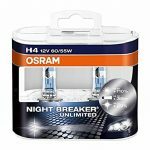 The relatively cheap Osram Night Breaker products are advised for those who may not have daytime running lights (DRL), and make use of their headlights to be visible on the road. Not all is lost though, as you are still experiencing better performance at night compared to a stock halogen lightbulb. 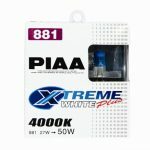 Many people don’t know PIAA, which is sad, because they make some of the best performance headlight products in the industry. And when we say performance, we’re really emphasizing that. Whereas most of the other top manufacturers have made their name by supplying to manufacturers, PIAA have made their name in the racing world. Car manufacturers don’t put PIAA products into their cars because the products aren’t good enough, they don’t put them in because they’re not willing to pay the premium for the best products. 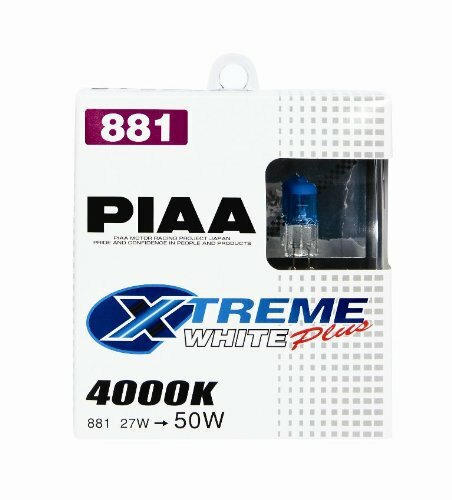 The Xtreme White Plus product is just that, a premium product and further competition in the imitation HID market. With a color temperature of 4,100K, it comes in slightly whiter than the Philips or Sylvania alternatives, but not by a lot. 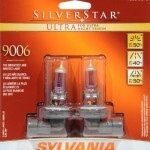 Providing double the output of a standard halogen, this bulb is marginally brighter than Sylvania as well. Although based on their racing designs, the PIAA products are still DOT and SAE compliant, and as bright as they are, won’t get you into any trouble with law enforcement. Its racing pedigree does come through for it though, providing improved durability, for a longer expected lifetime. If you want the brightest white light, this is the product for you. The Crystal Vision Ultra is Philip’s xenon look alike product. Designed to imitate the color of top performing HID light bulbs, it manages this but drops a bit on the performance side of things. This lightbulb is really all about style. A blue cap at the end of the bulb is there to give your headlights a blue tinge, even during the day when the lights aren’t on. Added to that, when the lights are on, their 4,000K color temperature does a very good job of competing with xenon’s for style. The Crystal Vision Ultras should only be purchased by people wanting the true white look in their lights. From a brightness and longevity point of view, they match standard halogen light bulbs. Philips make good products though. If you understand what you’re buying, you should be very happy with these. Competing with the Philips Crystal Vision Ultra for the imitation xenon market, Sylvania’s SilverStar zXe High Performance is arguably a better product. Although supplying a matching 4,000K color temperature white light, the zXe’s cobalt blue coating provides optimal light transmission, to provide a brighter light. 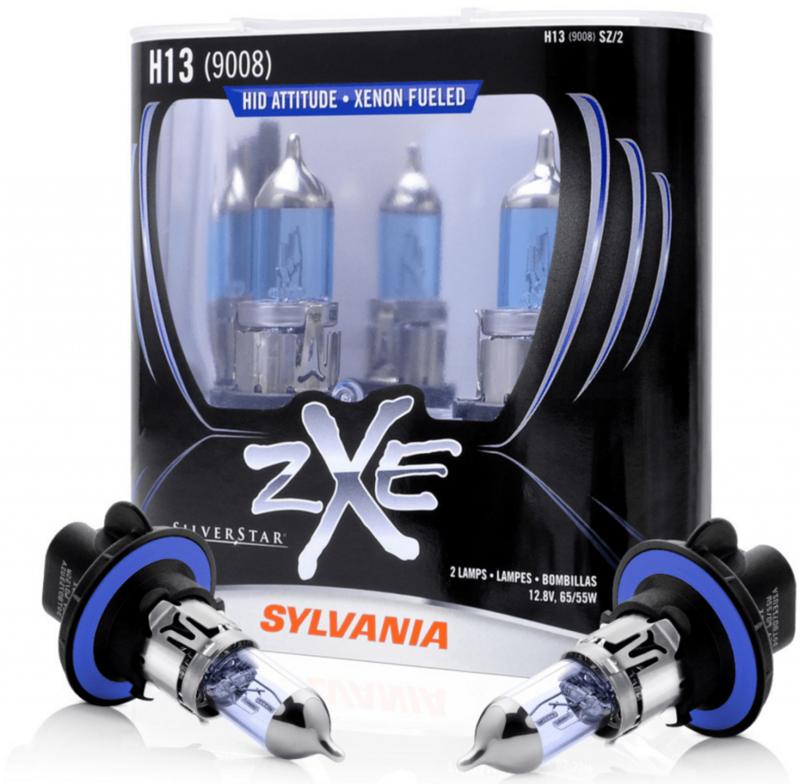 The Sylvania zXe is offered as the best alternative to dropping in a full HID upgrade, as you gain both a color and light increase over standard halogens, at a fraction of the cost of a full HID replacement setup. That being said, these SilverStars are considerably more expensive than the Philips, at almost double the price. 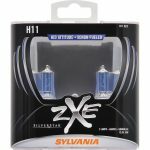 If you are looking for the HID look, but don’t want to compromise on performance, then the Sylvania SilverStar zXe High Performance has you covered. If everyone puts ‘High Performance’ in their product’s names, are any of them really high performance? The answer is yes. All of these products are improvements on standard halogens, so don’t be put off by naming conventions. The Sylvania SilverStar is not the most impressive product. It was built to a price, and for its price it offers a fair product. Slotted in above the Osram discussed earlier, and below the SilverStar Ultra, the plain SilverStar ticks off each box. Not as bright as the Ultra, but brighter than the Night Breaker (XtraVision). It also features a blue coating to provide a whiter light than the Night Breaker, but then again isn’t going to compete with either the Ultra or the zXe. The price of light bulbs can fluctuate a fair amount from month to month, especially when looking at the same light bulb, but for different fittings. As such, when deciding whether this light bulb is for you or not, compare its current price to that of the other Sylvania products. 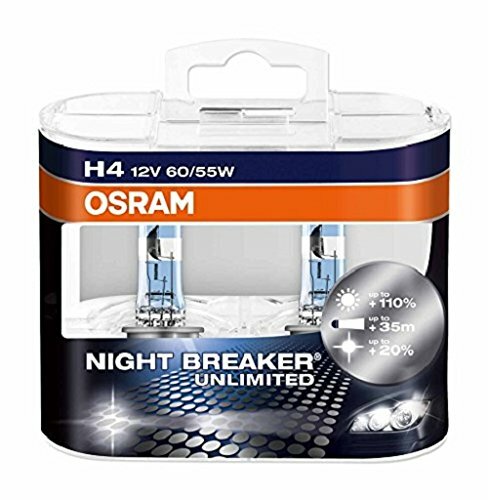 If it’s low, close to the XtraVision (Osram Night Breaker) then pick these. If the price is high, close to the SilverStar Ultra, then rather pay the few extra dollars for the Ultra. It’s an oddly situated product, but it sells well, drifting between its competition as exchange rates and supply and demand dictate it’s changing price. Offering similar brightness to what you’ll find from the SilverStar Ultra, PIAA return to the fray, competing on durability. With a color temperature of 3,600K, you’re just getting into the white range, but nowhere near that of the Xtreme White Plus. Also not as white as the SilverStar Ultra, one has to consider whether that cost can be made up when you looking at the product’s lifespan. 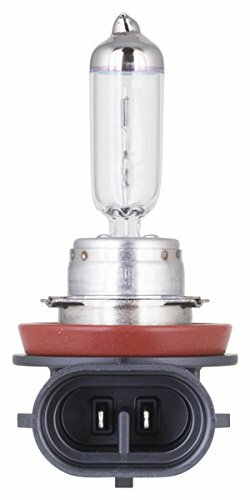 Thanks to a special heat resistant quartz glass tube, a unique gas mix that includes a higher proportion of inert gases as well as a new filament material, this bulb has a lifespan up to 50% more than standard. 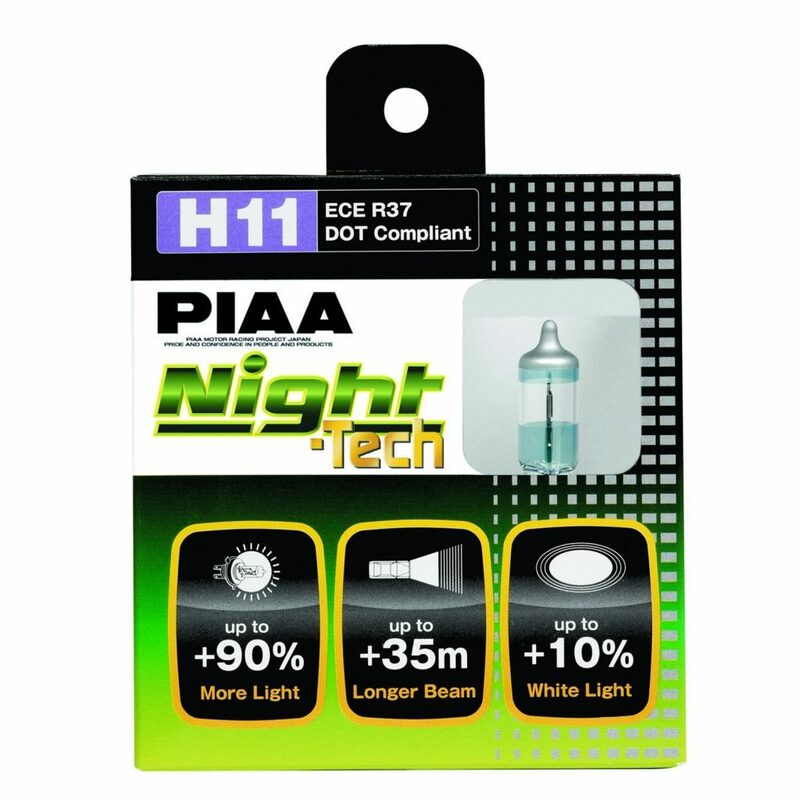 The PIAA ticks most people’s boxes when it comes to longevity and brightness. If you’re not too concerned from a styling perspective, the Night Tech light bulbs offer an excellent choice. Halogen light bulbs are still going to be with us for a long time. Thanks to their affordable nature, and compliance with international authorities, car manufacturers are happy to keep using them. These same characteristics also ensure constant development in the market, which is why you end up with a list of 8 great products to choose from. Whenever replacing your light bulbs, it’s always recommended that you replace both of them at the same time, even when replacing with the same product. 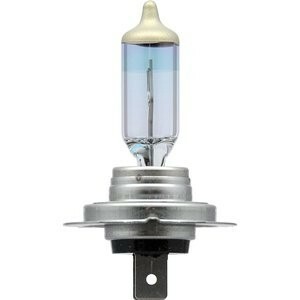 You can always keep one of the bulbs in your car as a spare. Halogen bulbs do also dim over time, and manufacturers recommend that you replace your light bulbs at least every two years, regardless of their condition. Finding the right balance of longevity, brightness and color is ultimately up to you. At the end of the day, you’re the one who has to put the money down. As you can see from our summary, not all headlight bulbs are made equal, but at the same time, choosing a best one is also not possible. Each lightbulb has its place, aimed at a certain market. But by choosing one of the bulbs on this list, you can at least rest assured that you’ve chosen one of the best headlight bulbs.